As part of the Arts & Culture Series, the Athenaeum's new Tech Support expert, Andrew Hatfield, explains today's online/internet security threats and how to combat them. 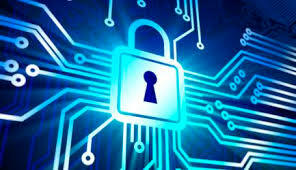 Learn how to make your devices and your information safe! Andrew was raised by a pack of wild PCs, and worked 20 years in the tech field. Now he is here to help tame your tech problems. Murder Ink is a three volume short story anthology of newsroom detective fiction told by authors from around New England. Join series editor Dan Szczesny, along with authors S. J. Cahill and Judith Janoo, for an evening of readings and history. This multi media presentation will explore the beginnings of the genre, look at the cross-over into Film Noir and explore why the newsroom makes such a perfect setting for the dark styles of Pulp and Noir. Volume 3 was just released February 2018. Copies will be available for sale. Join Sue Halpern and Bill McKibben reading from her just-released novel and his most recent book. Read Sue's article about libraries in The Nation HERE. Copies will be available for purchase thanks to Boxcar & Caboose. Alonqua, a Lenape boy of the early 1800’s, an orphan, is sent by Mawenteh, his elderly guardian, on a journey to a sacred waterfall...and far beyond. The journey is a vision quest where Alonqua learns his Spirit Name and the courage to do what is true and right—for himself, for his people, and for the sacred earth. Author Jeff Pratt, a teacher for 32 years, journeyed himself from Ohio to the Northeast Kingdom to find a little valley reminiscent of his childhood lands, and the way to this book. Copies will be for sale by Green Mountain Books & Prints. Susan Gold is the author of the acclaimed memoir about the Holocaust, The Eyes Are the Same. She was a consultant for Russian business development for Chase Manhattan Bank, and vice president and chief trading representative in Moscow for American International Group (AIG). 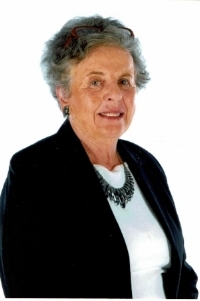 She has consulted for the International Agency for Development in Kiev, Ukraine, taught at the school for International Affairs, Columbia University, and served as director and consultant for Russian business outreach for theHarriman Institute, Columbia University. Threading My Prayer Rug is a richly textured reflection on what it is to be a Muslim in America today. It is also the luminous story of many journeys: from Pakistan to the United States in an arranged marriage that becomes a love match lasting forty years; from secular Muslim in an Islamic society to devout Muslim in a society ignorant of Islam; and from liberal to conservative to American Muslim. Vermont Gov. Phil Scott has proclaimed Monday, Oct. 9 "Indigenous People's Day." 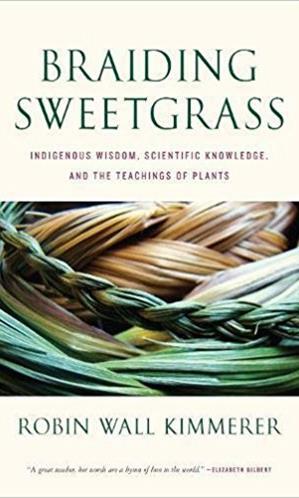 Writer Beth Champagne, of St. Johnsbury, will share Kimmerer's accounts, in "Braiding Sweetgrass," of living in relationship to plants and to land, to wind, water, and sky, and of her practice of giving back, in love, for the sustenance they provide. She will be joined by Athenaeum Librarian Christian Collins for a conversation about the intersection of indigenous wisdom and ecological understanding. In her new book Grace Gershuny argues for encouraging as many farmers as possible to convert to organic methods as quickly as possible as the most immediate route to reversing the increase in greenhouse gas emissions that now endangers communities everywhere. The food system contributes at least one-third of global greenhouse gas emissions, and can be part of the solution. When a gruesome new tick-borne virus breaks out near a major US city and the outbreak is traced to an extremist group in Southeast Asia, the race to stop a global bioterrorism conspiracy is on. Government epidemiologist Mariah Rossi must leave the safety of her lab to help fellow scientist and covert CIA agent Curt Kennedy track the disease back to its source. Series sponsored by Philip and Marylou Meyer. Athenaeum Director Bob Joly shows images of and will have on display cloth and paper covered book bindings detailing their evolution from utilitarian leather substitutes to objects of sophisticated design and beauty. Journalist and author Helen Chantal Pike discusses the history of the postcard and its developments through the years. She is the author of, among many books, Greetings From New Jersey: A Postcard Tour of the Garden State. The local hospice choir Continua is a group of twenty-one volunteer singers now entering its 11th year of service, providing music for comfort and support at the bedsides of those facing the end of life. Small groups of four to six members sing for patients and their families in private homes, nursing homes, hospitals and rehabilitation centers. A prominent practitioner of the Arabic "very short story" form, Osama Alomar published three collections of stories and a volume of poetry in his native Syria before events pushed him into exile. Now living in Chicago, Alomar's work has appeared in English translation in a variety of literary reviews and journals, including Ploughshares, The New Yorker Online, and The Southern Review. Fullblood Arabian, a collection of his stories in translation was published in 2013 by New Directions. Another collection, The Teeth of the Comb, is forthcoming in early 2017. Alomar will appear with his translator, Athenaeum Librarian Christian Collins. Prepare a 10-minute story and tell it live, without notes. We will pick 5 names from a hat, and you could be one of them!!! Brandon Mazur presents the work of this poet’s poet. In his well-researched book Dan Swainbank tells the continuing story of Vermont’s Farr family’s losses over a 150 year period, and the family’s involvement in the ongoing search for a cure for ALS. The book is an account of the love and support of a family and community which keeps the hope alive that someday this sad story will have a happy ending. The Eternal City of Rome was a “must see” on the European Grand Tour. Albert Farwell, son-in-law of Athenaeum founder, Horace Fairbanks, traveled extensively, purchasing photographs throughout his journeys at the turn of the 20th century. Living in Rome during a National Endowment for the Humanities Summer Institute, Denise Scavitto recreated some of the photographs in the Athenaeum’s Farwell collection. She will share the history of the Farwell Collection and some of the photos of Roman landmarks, then and now.